This weekend ETSU students were invited to take a look through the eyes of another culture. 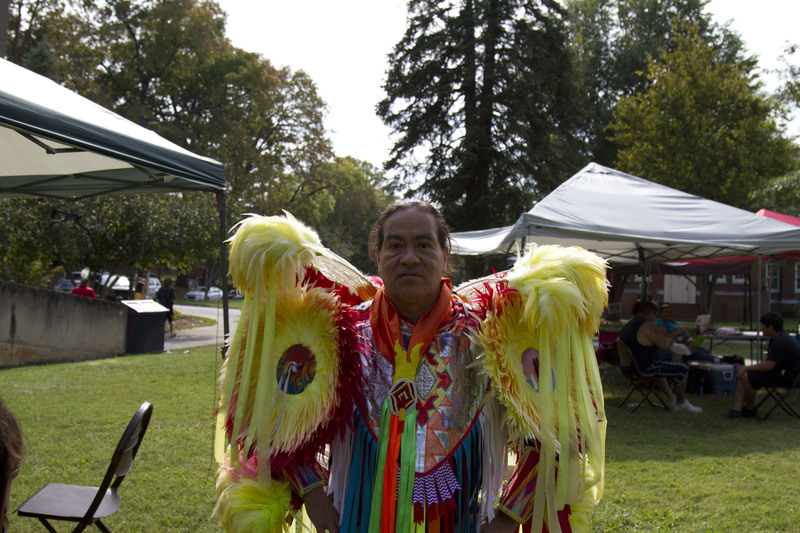 The annual ETSU Native American Festival returned for the fourth year on Sept. 21 and 22 in the campus amphitheater. 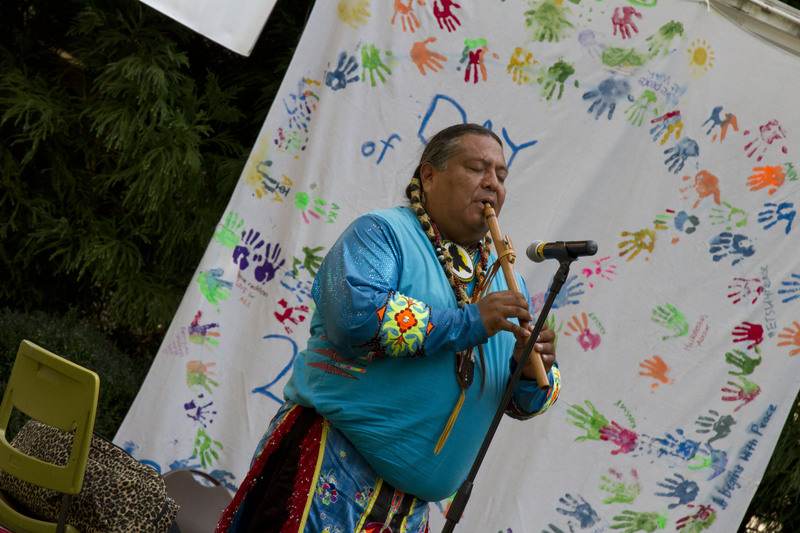 The festival aims to celebrate Native American heritage through art, music and historical tales, with an emphasis on Cherokee culture. 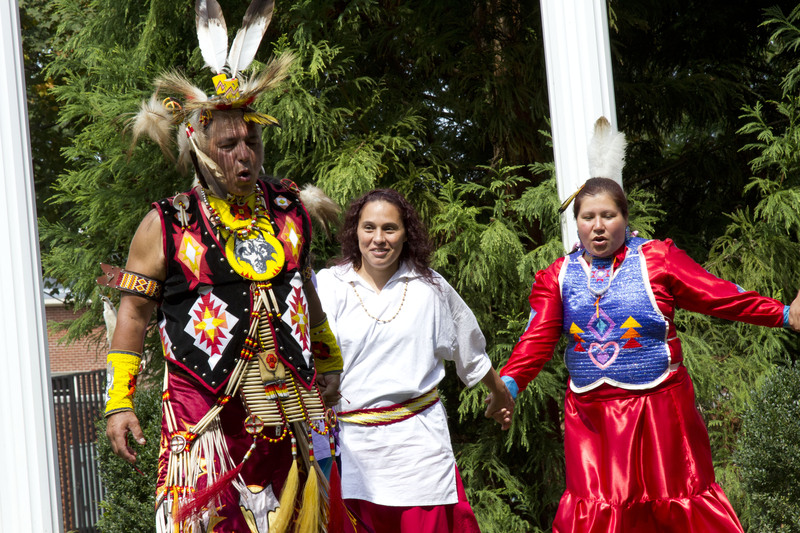 The two-day event included a hoop dancer, flute playing, crafts, skill demonstrations and various forms of dancing. According to an ETSU press release, these dances included Women’s Jingle Dress, Fancy Shawl, Buckskin, Northern Traditional and Southern Straight dances. Several dances were performed by the AniKituhwa Warriors Straight dances, who are cultural ambassadors assigned by the Tribal Council of the Eastern Band of Cherokee Indians. For Patricia Welch, this was her second time working her basket-weaving booth at the event. Welch’s booth involved handmade baskets, arrowheads, necklaces and earrings. Welch, who has fallen in love with ETSU’s campus, hopes that when her grandchildren come to visit her soon, they may like it as well. According to a Johnson City Press article, the event was actually the brainchild of an ETSU student who thought it would be good to have a Native American themed event on campus. Since then, it’s been returning to campus for years. In addition to the festival, Slocumb Galleries is hosting an art exhibit called “Absurdity of Truth” by John Feodorov. Feodorov’s work explores his own identity as a man with Navajo lineage. The exhibit will be open until Oct. 14. The Native American Festival, which takes place annually each fall, is sponsored by the Office of Multicultural Affairs. For more information on the festival or other cultural celebrations at ETSU, go to www.etsu.edu/students/multcult/. Previous post Alcohol, a rite of passage or a privilege?